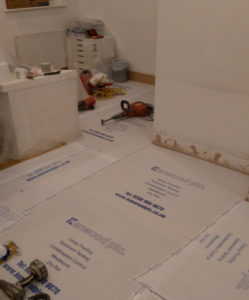 Kenwood were recently called in to address concerns about dampness within a laser eye clinic in London. On London’s well-known health capital, Harley Street, this property built in the 1900’s was found to be suffering from Rising Damp. Kenwood carried out ‘out of hours’ works for this client, in order to provide the bare minimum of disruption for the busy practice. 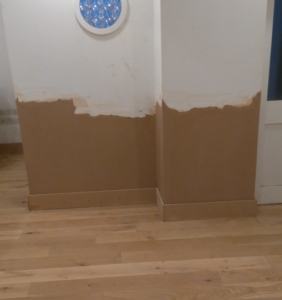 Kenwood removed the wall plaster and injected a new chemical damp proofing course. Additionally, and area required use of Kenwoods Tanking system. Tanking in as impervious barrier which prevents moisture pushing through the brickwork, where the ground level is higher than the floor. The walls have been re-rendered and skim finished ready for redecoration in around 4 weeks.